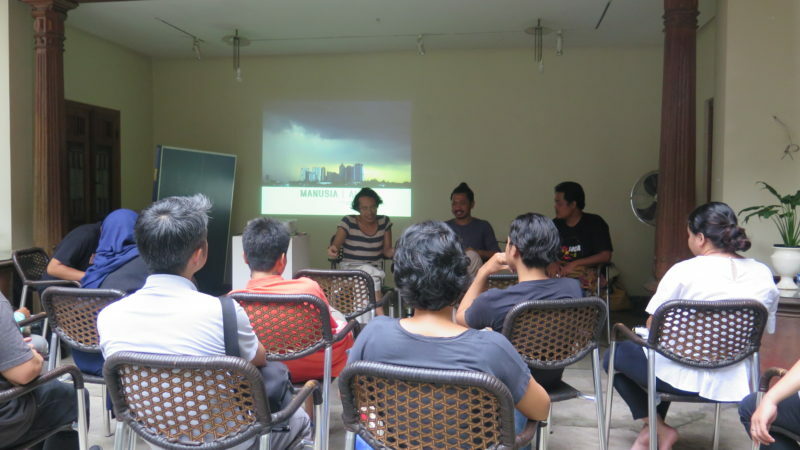 Field Trip Project departs from the Asian concern Daisuke Takeya against natural disasters in Japan. The massive earthquake that occurred in 2011 has led to a catastrophic nuclear leak that its effects are still felt to this day. These issues to the forefront and bring new questions on the impact of natural disasters. Whether nature really disastrous for us or is people who actually trigger the problem? This issue is crucial to talk about in the context of Jakarta, which in General is rarely affected by natural disasters. In that context, the question of how we see disasters such as floods, traffic jams, and also a wide range of implications for other disasters are actually closely related to the design of a city. Billboards collapsed, a Footbridge collapsed, local flooding on a regional elite, congestion on the highway up to many hours, until the local garbage handling is the series of problems arising out of human behavior. On the other hand, there are practices that directly aim to resolve this issue and is done through joint work between citizens. This is the situation which we will discuss together in the panel discussion of the exhibition this time. ADI Wibowo of LabTanya will be invited to share his experiences of managing waste in the program “the City Without Garbage” with people in the environment. 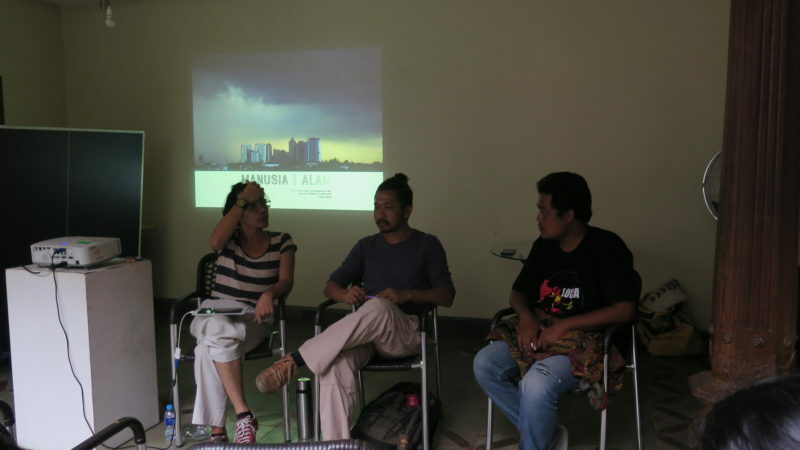 Gugun Muhammad from Community Child Times Ciliwung will be asked to share his experience alongside residents in addressing the question of the Cob live in the Ciliwung River. Farid Rakun opined about the role will be asked artists and artistic practices in order to question the city’s problems as well as its solutions.